This Buy ‘n’ Brag comes courtesy of my local thrift store. 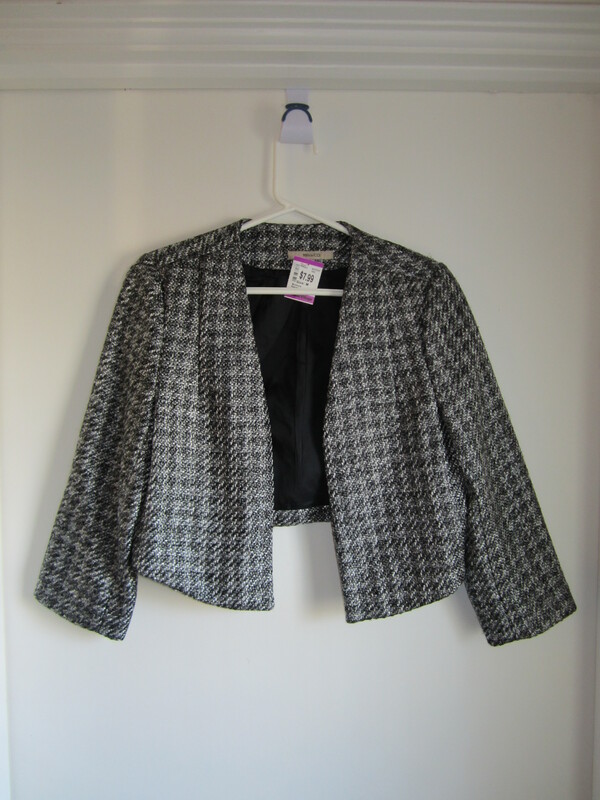 The cropped blazer is originally from RW&CO. but only cost me $7.99. What a steal! This is a great piece that can easily transition from a meeting at work to lunch with the in-laws to drinks with the ladies.